The son of a millionaire Manhattan hedge fund founder who allegedly gunned down his dad over his allowance has been arraigned on a second-degree murder charge, authorities said. "She [Mrs. Gilbert] found Senior on the floor with a bullet hole in the head," said Boyce. "She also found a gun resting on his chest with his left hand covering it." Gilbert Jr. attended Princeton, graduating in 2009 with a degree in economics. Authorities said he had no recent work history. Gilbert Jr. has a pending criminal case in the town of Southampton, on eastern Long Island. Gilbert Jr., who has an address in the hamlet of Wainscott, was arrested Sept. 18 on a charge of criminal contempt. Southampton town police say he violated an order of protection issued in Brooklyn in June. Police say he confronted a man named Peter N. Smith at Sagg Main Beach in Sagaponack on Sept. 1. He has pleaded not guilty and has a Feb. 2 court date scheduled. A Princeton graduate who was on Monday charged with murdering his multimillionaire father and attempting to stage the death as a suicide was also the prime suspect in an arson attack that burned down a rival's Hamptons mansion, it has been revealed. Tommy Gilbert Jr, 30, was arrested in September for violating a restraining order taken out by Peter N. Smith, days after Mr Smith's father's home went up in flames. Princeton graduate Gilbert Jr appeared in court charged with shooting dead his father, Thomas Gilbert Sr, at the family's luxury Manhattan apartment in a fight over his allowance being cut. Reports were also emerging today that Gilbert Jr suffered from mental illness and had been off his medication prior to the shooting. Gilbert Jr was charged with murder and criminal possession of a weapon along with 21 counts of criminal possession of forgery devices after skimming device and 21 blank credit cards were found at the Chelsea apartment his father paid for. Gilbert Jr. was jobless - and seemed to have few prospects, and little interest, for finding serious work. Instead, he spent most his time in the Hamptons, going to the gym, doing yoga and surfing. 'How could a guy be that gorgeous, that wealthy, that fit and kill his dad? This is the last thing in a million years that I thought he could do,' Miss Rothschild, 49, told the Post. Miss Rothschild said Gilbert Jr. was also preoccupied with how controlling his father was over his money and was convinced that he could never do anything to gain his approval. The first thing multiple acquaintances said of Gilbert Jr when asked to comment by Daily Mail Online on their fellow Princeton or Deerfield alumnus was the rumor that he'd burned down his one-time friend's house last summer. Additionally a long-time resident of East Hampton and acquaintance of Gilbert Sr., who was a member of the upscale Maidstone Club there, also repeated the allegation. The home belonged to Peter Smith Sr., a friend of the Gilbert family. The Post reports that Gilbert Jr. had been friends with Peter Smith Jr. - but that they had fallen out over a girl. The Post also claims that Gilbert Jr. Killed Smith's dog - but this was denied to Daily Mail Online by sources close to the events. Three days after the fire, on September 18, Gilbert Jr. was arrested for violating an order of protection taken out by Smith Jr.
Peter Smith Jr, 32, declined to comment on the allegations and his sister, Bettina Prentice, did not respond to requests for comment. Tommy Gilbert Jr, attended The Buckley school on Manhattan's Upper East Side from kindergarten until eighth grade. Tuition costs around $35,000 a year. Noteable alumni of the school include actor James Harder, philanthropist David Rockefeller Jr and Robert Wagner, former deputy mayor of New York. He then went on to the $50,000-a-year Deerfield Academy in Western Massachusetts, which counts the King of Jordan and Prince of Jordan among its alumni. After graduating from Deerfield in 2003, Gilbert Jr accepted a place at Princeton University where he graduated in 2009. A friend told Daily Mail Online on Monday: 'He was a really nice person. He was smart, athletic and he went to Princeton. 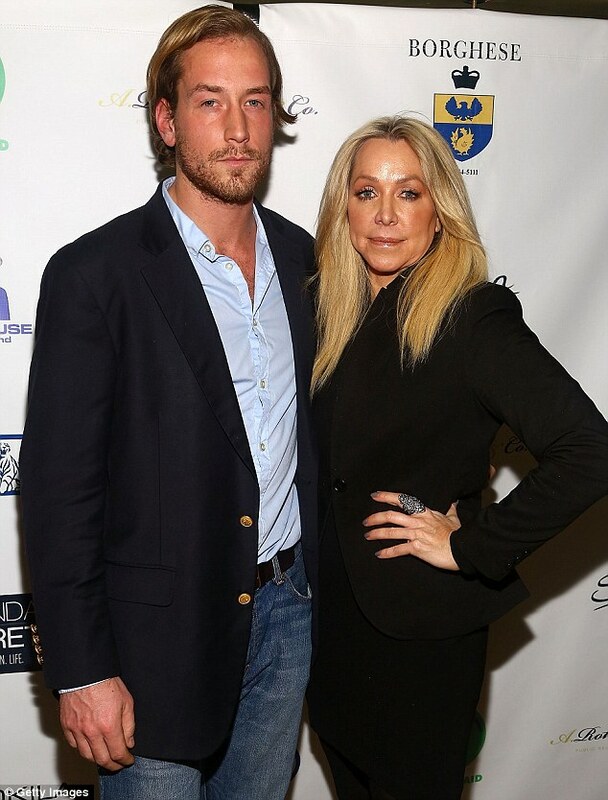 Tommy Gilbert Jr was arrested at his home on Sunday night in the Chelsea neighborhood of Manhattan, following the fatal shooting of his father, the founder of hedge fund, Wainscott Capital. And so on, more here. Still, remember: when dealing with murderous psychopathic Princeton economists, correlation is not always causation.